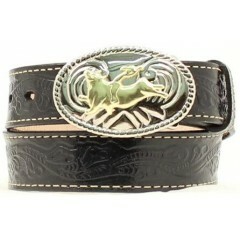 The buckle and stamped leather make this Nocona belt look awesome. Your little tike is bou.. 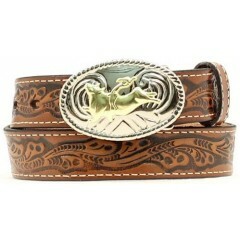 The buckle and stamped leather make this Nocona belt look awesome. 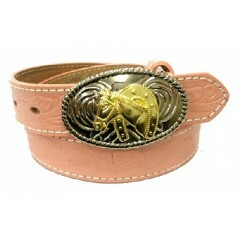 Your little tike is bound to ..
For that little cowgirl we have a pink floral stamped genuine leather Nocona belt with a horsehe..
How awesome is this Nocona belt?! 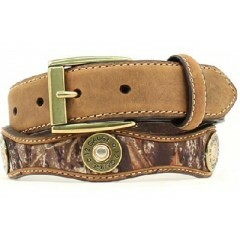 With the shotgun shells and camo, this belt just can't b..